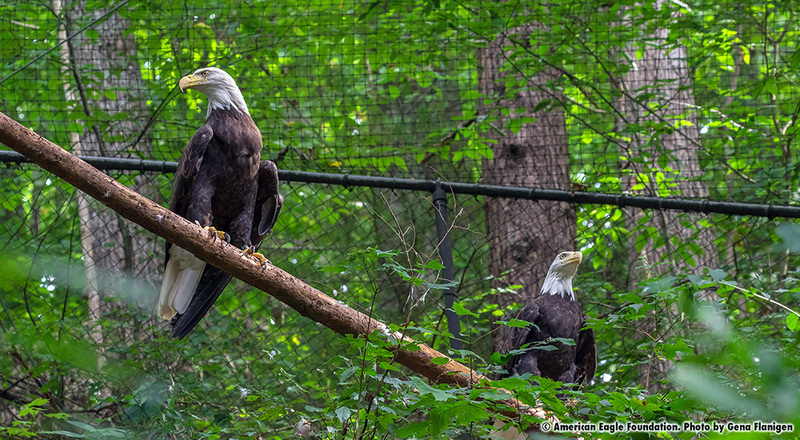 ‘Volunteer’ and ‘Hero’ are a bonded non-releasable pair of Bald Eagles that live in a private naturally landscaped aviary with a huge nest in Eagle Mountain Sanctuary at Dollywood. They have hatched and raised numerous young as a part of the AEF’s Captive Breeding and Hacking programs. This pair was already bonded when they were transferred to the American Eagle Foundation from the San Francisco Zoo in 2007. In a ceremony honoring fallen soldiers, Volunteer and Hero along with three other non-releasable Bald Eagle breeding pairs were named by the families of these brave soldiers. Volunteer was named in honor of Army National Guard soldier Joey Hunt. Hero was named in honor of SFC Stephen C. Kennedy. 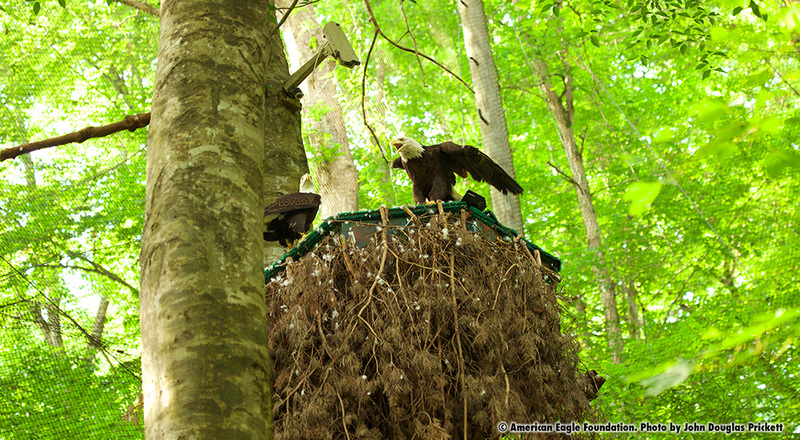 In 2007, the American Eagle Foundation was chosen by the U.S. Fish & Wildlife Service to receive four Bald Eagle breeding pairs from the San Francisco Zoo to care for—originally it was to be five pairs, however one mate passed away prior to the transfer. The living mate of the pair is now a educational Eagle.